You've got this great char broil gas grill, and you're not sure what to do with it. No matter what the season, grilling outdoors can be fun and rewarding. It's really quite easy if you don't rush the process. 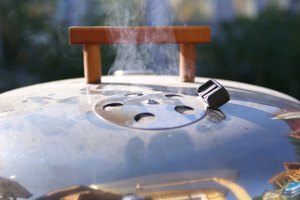 Almost any barbecue recipe will work on a gas grill, and any recipe that you may have used on your charcoal grill will work well on your gas grill. And gas will give you more even heat than charcoal, making grilling easier. 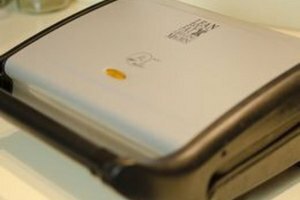 Attach the gas tank firmly to the grill following the manufacturer's directions. Make sure all the control knobs are in "Off" position, and attach the L.P., regulator to the gas tank, turning the coupling clockwise to tighten. Make a solution of 1 oz. dish-washing detergent and 4 oz. water. Using a small paint brush, paint the detergent solution around the gas coupling. If it doesn't bubble, your connection is good and you're ready to grill. 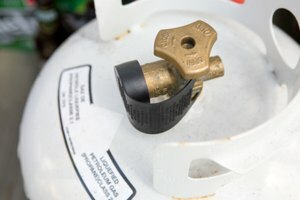 If there are bubbles present, it means you have a gas leak and you need to re-do your connections. Spray non-stick cooking spray on the grill grates. 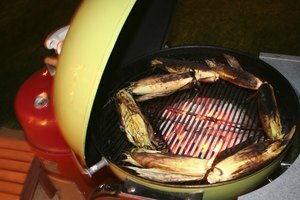 Light the grill by opening the lid and turning the control knobs to the "On" position and pressing the igniter button until you hear the burners light. 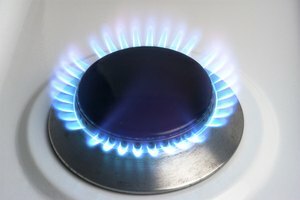 Do not allow gas to build up in the grill before pressing the igniter as this could cause the gas in the grill to flash or explode. Grill hamburgers, hot dogs, fish and other smaller items directly over the heat. Larger cuts of meat should be cooked by indirect heat so place over an unlit burner with the lit burner set on "High." Check large cuts of meat for doneness by inserting a meat thermometer. Poultry should register between 170 and 180 degrees, while pork and hamburgers should cook until they are 160 degrees. Beef, veal and lamb need to be cooked to 145 degrees. The biggest test for doneness, however, should be that the juices from the meat should run clear with no sign of pink. Turn all the control knobs to "High" when cooking is complete and allow about 20 minutes for all the fat and residue to burn off. Use the heavy duty grill brush to remove any residue that may be remaining after the grill has cooled. Turn off the gas at the gas tank. Close the grill lid and cover the grill with a waterproof grill cover. If the wind is causing the flame to blow out, turn the front of the grill to face the wind. Can You Grill on a Screened-In Porch?